The Ideal place to kick off your exploration of Simon's Town? 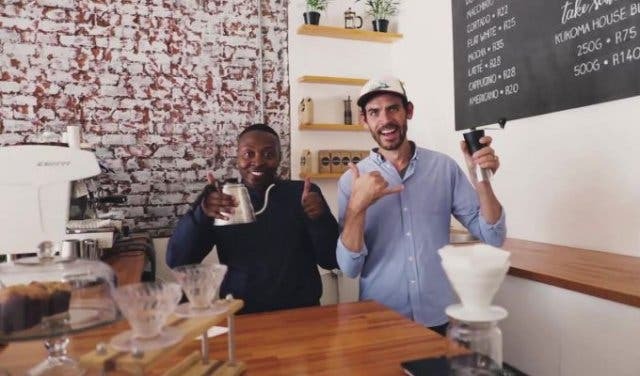 A fascinating barista, fast Wi-Fi, home-brewing workshops and a unique new “kindness” coffee experience are available at Kukoma Coffee Co.
Simon’s Town; a name that every Capetonian knows. To some it’s a stunning place to spend an afternoon, to others it’s far enough away to warrant making a weekend out of it, but what remains constant is the enamourment that we have for this historic ocean-side village. Simon’s Town, named after Simon van der Stel the first Governor of the Cape Colony, has been an important navy port (first for the British Empire, and now for the South African National Navy) since its foundation in 1680. 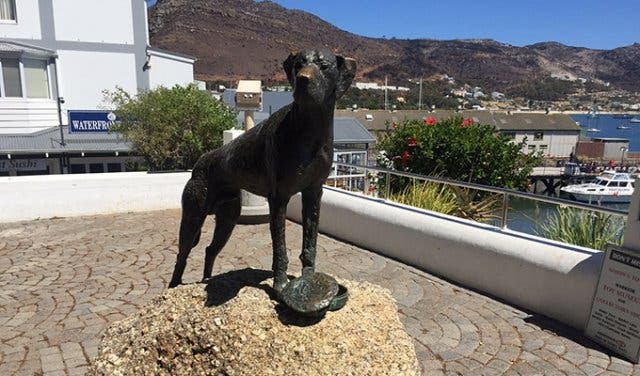 Simon’s Town is well-known for penguins and the Navy, but also for one very special pooch. Just Nuisance, and his story, is as fairytale-like as is possible in reality. He was (and still is) the only dog to ever be officially admitted to the Royal Navy. This lovable Great Dane served on the HMS Afrikander which was based in Simon’s Town between 1939 and 1944. He passed away at the age of seven-years-old, and was buried with full naval honours. Just Nuisance was said to have been born in Rondebosch, and taken along when his owner moved to Simon’s Town, where he captured the hearts of the sailors. He used to ride trains, sleep on the gangplank and accompany sailors safely back from the pubs when they closed. He holds a very special place in the history of Simon’s Town so grabbing a photograph with/of his statue in Jubilee Square is a must! Seeped in history, Simon’s Town has always attracted tourists and locals alike to spend a day exploring the hidden shops, cafes, restaurants, museums and beaches. In the summer months, Simon’s Town is buzzing with life; people travel from all over to learn a little more about the history of the Navy, and to see the penguins of course! 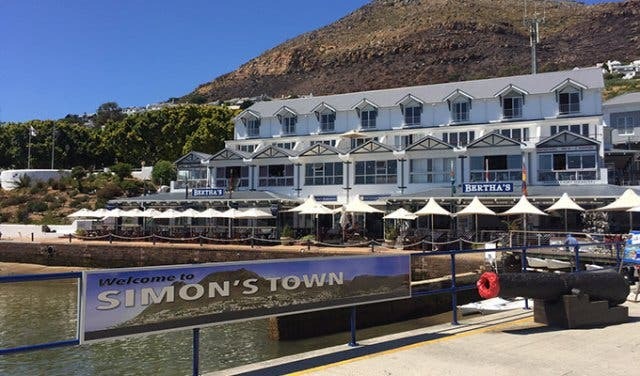 This time around, the format of this tourism guide is going to be a little different; Simon’s Town is very much a daytime kind of destination so we have decided to really focus on sunshine-friendly activities and places to get breakfast and lunch. Never fear, we will also mention if the various eateries are open for dinner, we just won’t have a section for dinner places. Sharks are not uncommon in the waters of False Bay, and the sea around Simon’s Town is no different. These magnificent creatures are the envy of the world over; in very few places can you experience their presence in the same way as you can in South Africa. There are various tour operators in Simon’s Town that specialise in shark spotting, shark breaching and shark diving. Have a look on Simonstown.com to see which company suits your needs best! After you’ve scared the life out of yourself with some goliaths of the sea, I think it’s probably time for breakfast. 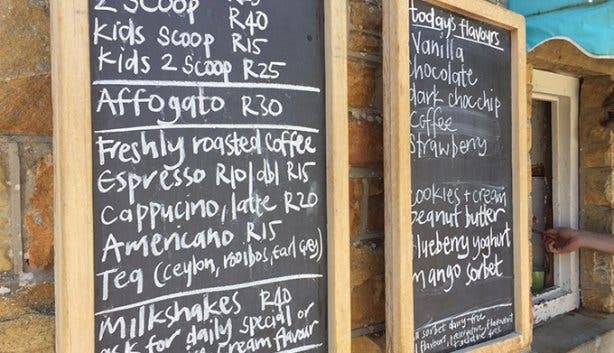 Simon’s Town has a selection of delicious coffee shops and cafes that serve amazingly scrumptious food. Monocle and Mermaid, one of Simon’s Town’s newer establishments, already has a reputation to rival the longstanding residents. They open nice and early at 7:30am, and they have an early morning breakfast special! They don’t have a single negative review on Facebook (which is pretty amazing), and in my own experience, their food is some of the most delicious I have had in a long time. Good job guys! The Sweetest Thing is another amazing place to try. They whip up impressive patisserie items, and they taste as good as they look. I have such a tough job that simply for research purposes I needed to try one or two (or five) and they are stunning. Even if you elect simply to have a coffee and a croissant - they’re good too! If you are looking for a little something savoury, my personal recommendation would be the breakfast basket with softly poached eggs, bacon, sausages, oven roasted tomatoes and mushrooms served in white bread baskets. What a treat. Lekker is more than just a word that means ‘nice’ (at least in this case anyway). 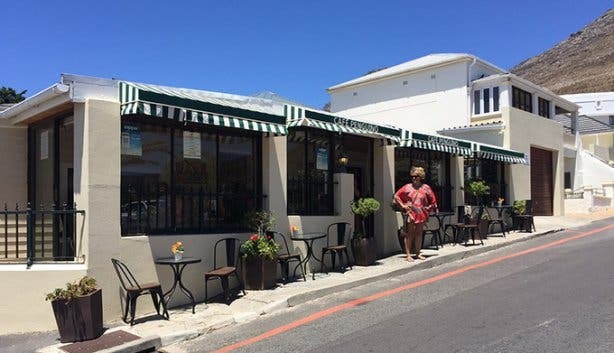 There is another branch of Lekker in Kalk Bay and we love this one just as much! 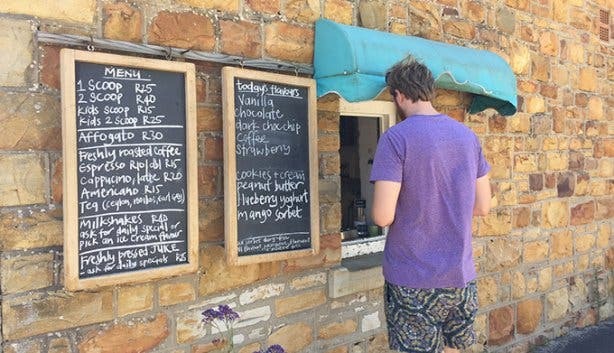 This cafe does design your own drinks and boasts a menu filled with SA classics fused with new techniques and ways of serving. Ever had a bobotie pie? Me neither, until I went to Lekker and now I could happily live on them forever. 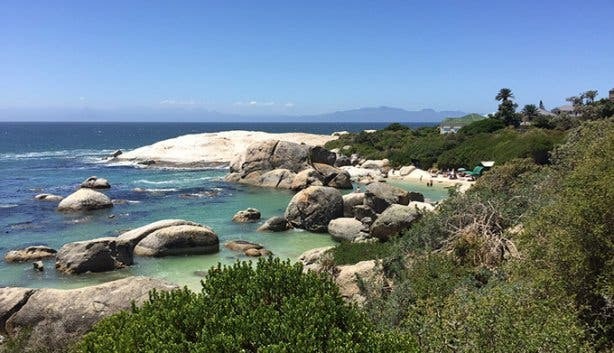 After you’ve filled your tummies, head off to the main attraction of Simon’s Town; Boulders Beach. Home to 3,000 penguins, this beach is the perfect place to view these little cuties in their natural habitat. If you’re wondering which season to visit in, have a look below and see! Boulders Beach was established as a penguin colony in 1982, and has since grown from just two birds, to nearly 3,000. Some allege that the boulders from which Boulders Beach gets its name, are over 500 million years old. 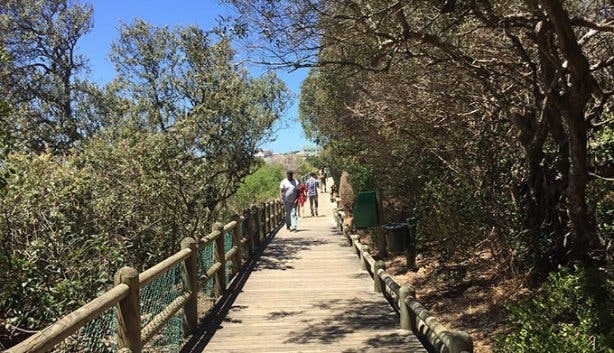 You can grab an ice cream and walk along the newly constructed boardwalk, which will give you an aerial view of the penguin colony. The beaches adjacent to Boulders are restricted, but you can still see the little tinies from afar. 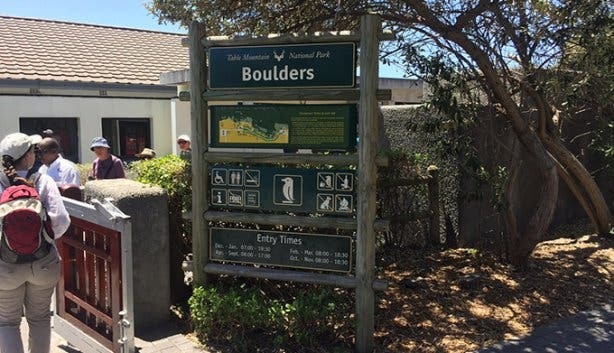 The trip to Boulders Beach will no doubt have made you hungry for something yummy. I was thinking a delicious ice-cream perhaps? Have a little look-see at Coffee & Gelato. 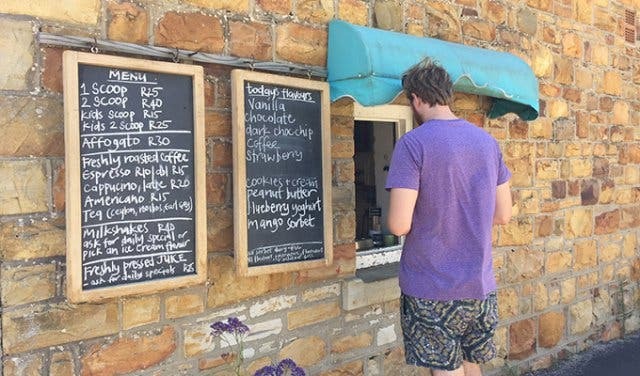 Their Italian ice-cream is nothing short of perfect, and on a hot summer’s day in Simon’s Town, it is exactly what you want/need. I had the dark chocolate chip, and I know for a fact that the peanut butter ice-cream is amazing. Make sure you pack a hat when you go to Boulder’s Beach people, it gets very hot and no amount of ice-cream can cure a nasty sunburn. It’s no surprise that historic Simon’s Town boasts plenty of museums, but the subject matter of one may do. The Warrior Toy Museum is truly a hidden treasure. This family-owned establishment has been located in Simon’s Town for an age now, and the humble-looking exterior says little about the magic that lives inside. Toys from years gone by stand resolute in military formation; dolls from the First World War in near-mint condition, a real working toy train with an incredibly detailed track and scene - this place really does have one of everything. They also have an amazing selection of model cars, some of which are for sale. Please note that if you ring the bell and nobody answers, just be patient, the owners will hear you eventually. After the toy museum, you can take a walk back along the Main Road and head for the pier (and the Salty Sea Dog). In the area near the pier, you’ll have a choice of where to go for lunch. Bertha’s has been in Simon’s Town certainly as long as I have been going there, and I’ve lived in Cape Town for the last ten years. 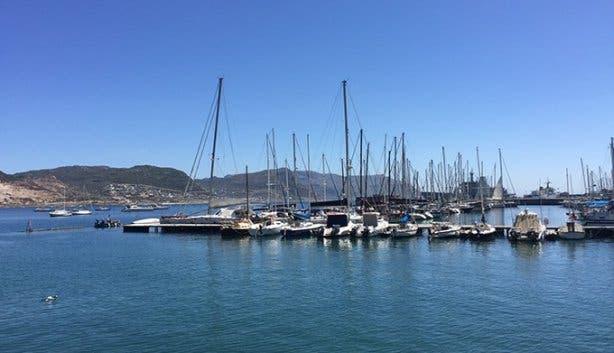 It’s located right on the waterside, with stunning views of the yachts and boats moored in the harbour with the mountains in the background. They specialise in hearty food, promising that there is something for everyone at Bertha’s. They have really yummy burgers, fresh salads and an extensive wine list. They also have an awesome cocktail menu, because who wouldn’t enjoy a cocktail by the sea? 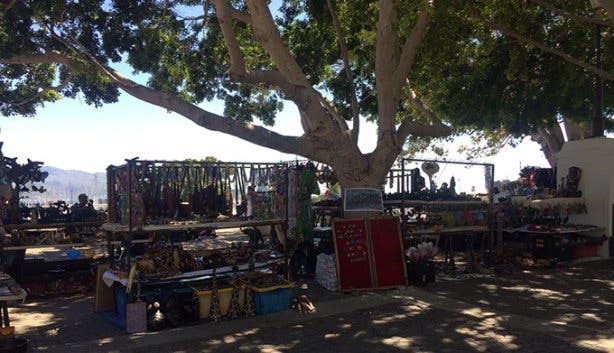 For those with kiddies, there is a special play area for them to enjoy; but please keep an eye on them, there is a little drop off the side which goes to the beach. 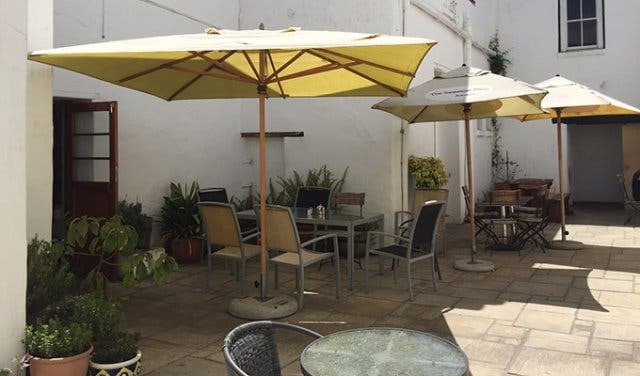 If you are more in the mood for a stylish quiche or maybe a sandwich made with freshly baked bread then perhaps The Pantry is the place for you. 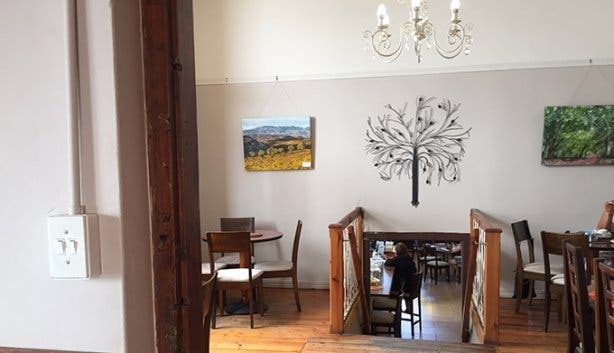 Located on Simon’s Town Main Road, The Pantry’s stunning and simple interior is incredibly inviting, plus the smell from their kitchen! They are the purveyors of delicious artisan baked goods and great coffee. Sit down for a bite to eat and just relax as the hustle and bustle of Simon’s Town passes you by; a quiet moment in an incredibly jam-packed day of activities. 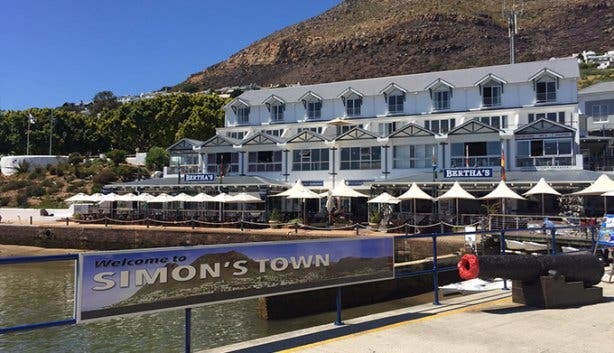 As I said at the start, in my opinion Simon’s Town is a place much more suited to daytime visits, but as promised I also said I would mention the restaurant suited for dinner! We can start with the Salty Sea Dog. 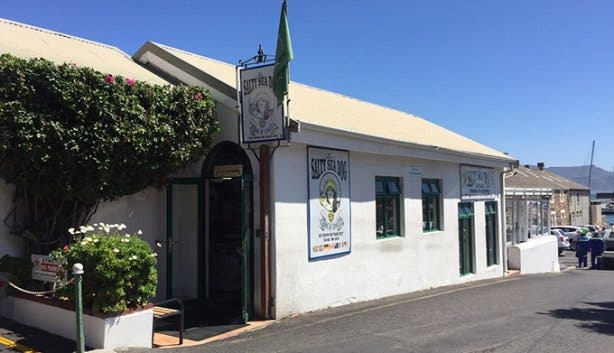 It may not seem like it from the outside, but this place is by far one of the most popular food stops in Simon’s Town; visitors and locals alike go crazy for the fish and chips! Quite rightly so, the fish and chips is amazing. There is just something about the Salty Sea Dog that reminds me of winter evenings enjoying the tastiest meal I’d had in a while. The interior is nautical-themed, and perfectly suited to Simon’s Town. The newly opened Mangata Restaurant is a breath of fresh air in Simon’s Town with their dainty, haute cuisine menu. Every plate they serve looks like a piece of art, and they taste as good as they look. They serve all daily meals and even have both set and tasting menus available. 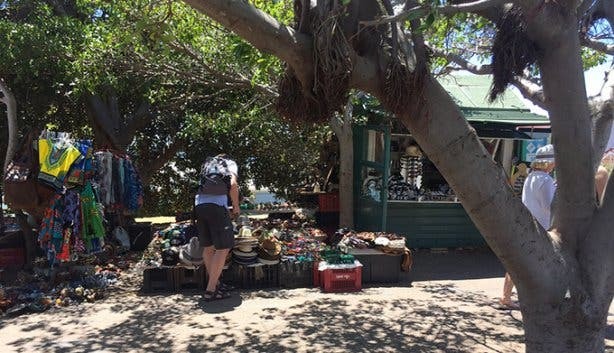 A very talented member of our team headed out to Simon’s Town for a little look, and you can have a look at what Mangata is really like! Seaforth Restaurant, located on the shore next to Seaforth Beach is a stunning place to have a meal. Their menu is made up of various sea-creatures, all cooked to perfection and delectably served. They have a main dining room, an outdoor patio area, a gun room and even a penguin room. Whichever part of the restaurant you are seated in, your dinner will surely be fresh from the sea and cooked to perfection. Just outside the restaurant, there are big patches of grass for the little ones to play on (not too little, it’s not visible from all tables and they slope to the beach). Article written by Charlotte Rogers. If you are on the search for sunset spots to quench your thirst, why not check out our overview of Sizzling Sundowner Hotspots in Cape Town. Also, check out luxuary at its finest at aha The Quayside Hotel. Also, don’t forget to follow us on Twitter, like us on Facebook, and check out our Pinterest boards for updates. Not to mention, subscribe to our newsletter to keep up to date with what's hip and happening in our pretty city.